It feels a bit strange to write about product that is on a market more than two years, but still. Maybe the story behind it can inspire someone. 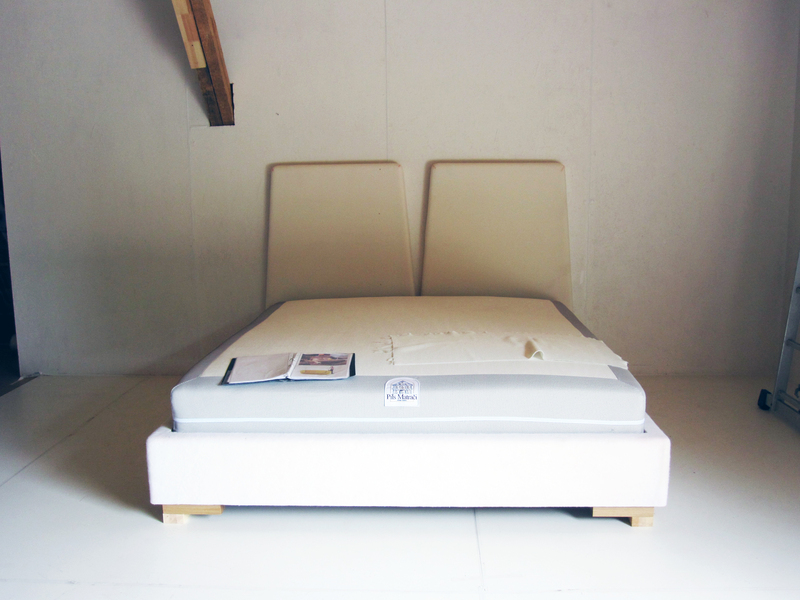 In summer of 2012 in the Heavens upholstery factory we started to working on a foldable headboards bed. 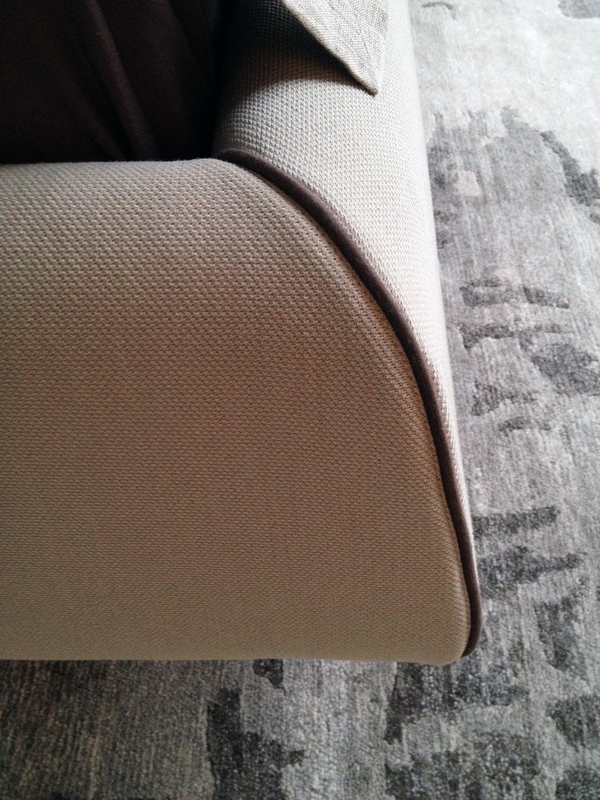 From the very beginning I had the idea in my mind that there is a need to use stretch fabric for this design to support the folding and to make upholstery fabric’s patterns . 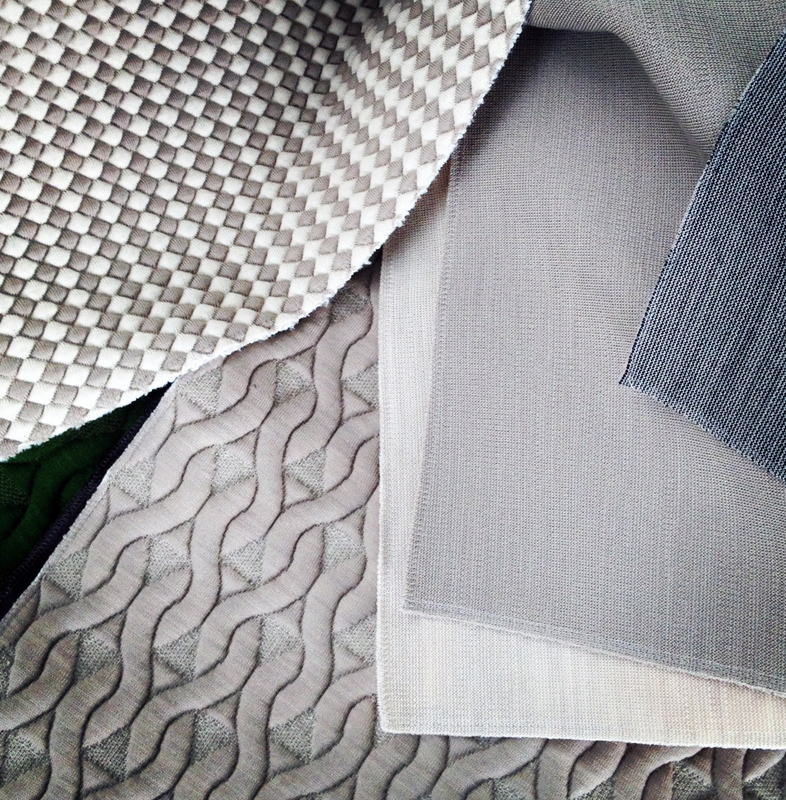 And for the first mock-ups we already used stretch fabrics. 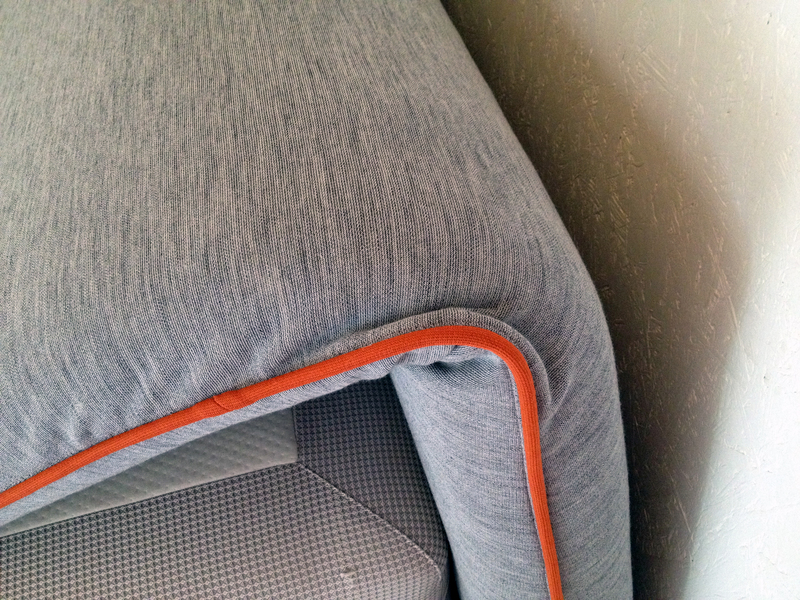 To find the most appropriate one, I visited Innofa factory (now Innofa upholstery fabrics are produced under the new new brand name – Febric) in the Netherlands and chose collection Knit fabric for the front part of the headboard and collection Twill for the back. Actually, at first I wanted to emphasise more the back, but my boyfriend at that time, Charles Bourrier, suggested to do an opposite. After a small argument, I agreed. 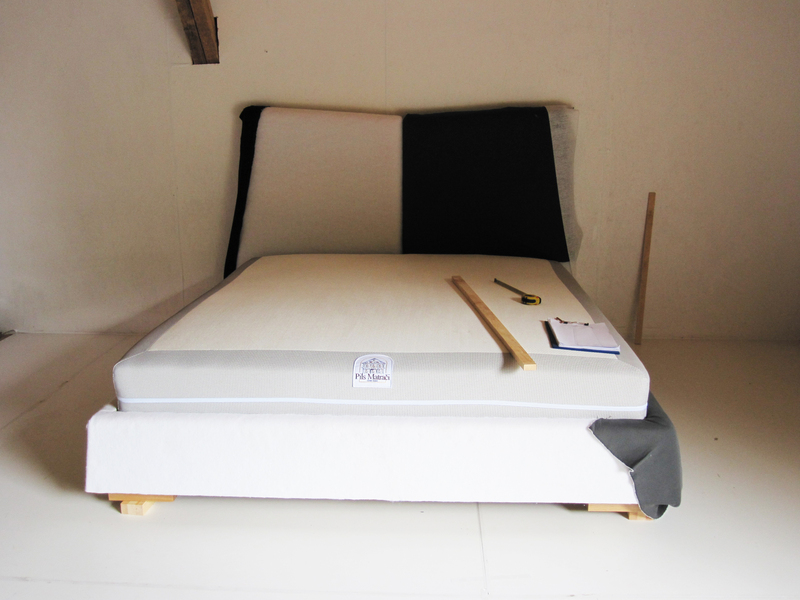 The first idea was to make two independent headboards with a slight angle at sides, but, when making the first mock-up in 1:1 scale, I realized headboards should be angled towards each other. Working on different stages of this bed I sometimes felt that it will end up nowhere – reality looked so different from sketches and drawings. 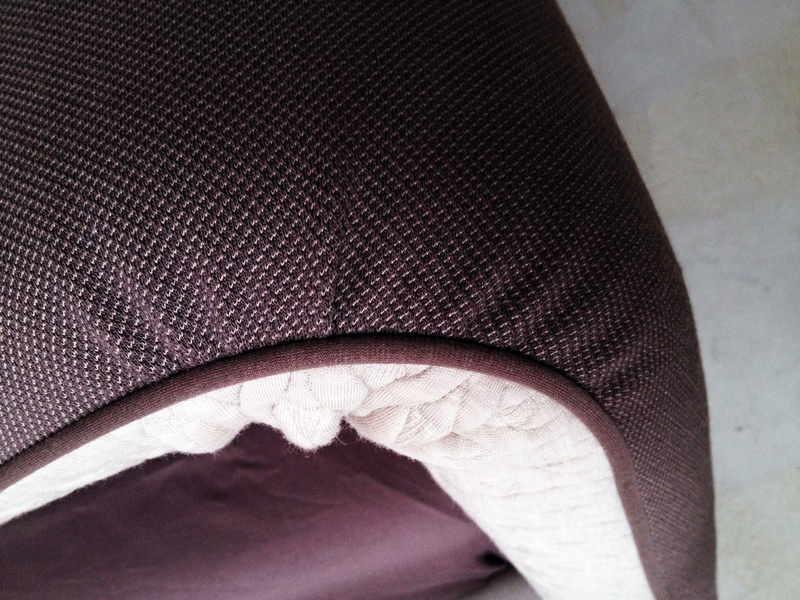 Even the stretch fabric was not working as I was expecting. And for moving details it was not enough just to stretch it around them. Here appeared a need for small folds. But I also understood that sometimes the magic happens with small adjustments and kind of “meditation” around the unfinished piece. Yes, it is needed to take your time & work on details. I am very thankful for Heavens technicians and masters for patience and capability to look for solutions and never give up.